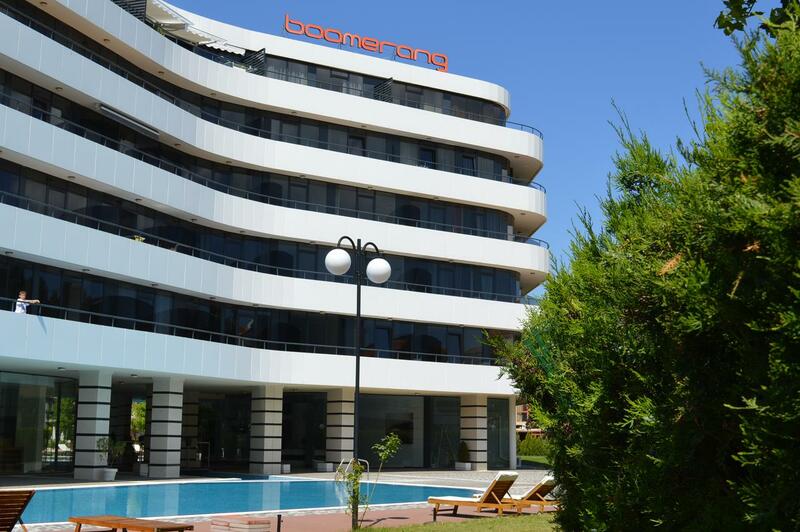 Spacious one bedroom apartment in perfect condition, situated on the 5th floor in Boomerang complex in Sunny Beach. 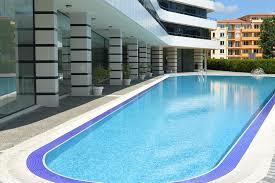 The complex has a unique design and is one of the most modern buildings in the resort. 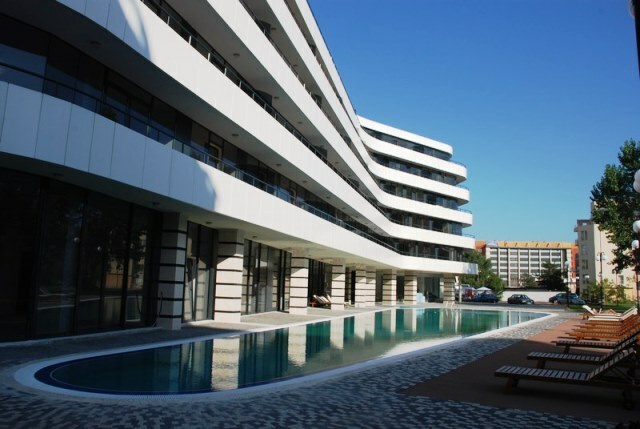 Spacious one bedroom apartment in perfect condition, situated on the 5th floor in Boomerang complex in Sunny Beach. 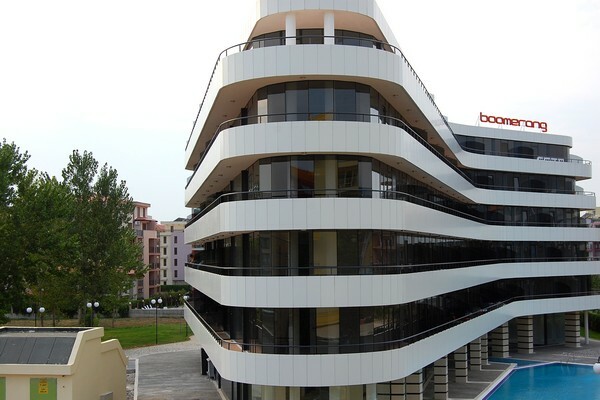 The complex has a unique design and is one of the most modern buildings in the resort. The beach is just a 5-minute walk away. The apartment has a total area of ​74 m2 It has a spacious living room with a fully equipped kitchenette with washing machine, a dining table with chairs, a separate sleeping area with a large bed and a wardrobe, a bathroom with a toilet, a glass shower cabin and a large terrace viewing the pool The annual maintenance fee of the complex is 10 Euro per sq.m.